When you’re a parent, Valentine’s Day isn’t just about celebrating your love for your significant other – it’s fun to get the whole family involved! That’s why I went on KTLA this morning to share some gift ideas for everyone in the family from baby to kids, friends, and of course, for the love in your life. Check out the items I featured below and watch the full segment by visiting the On Air page. 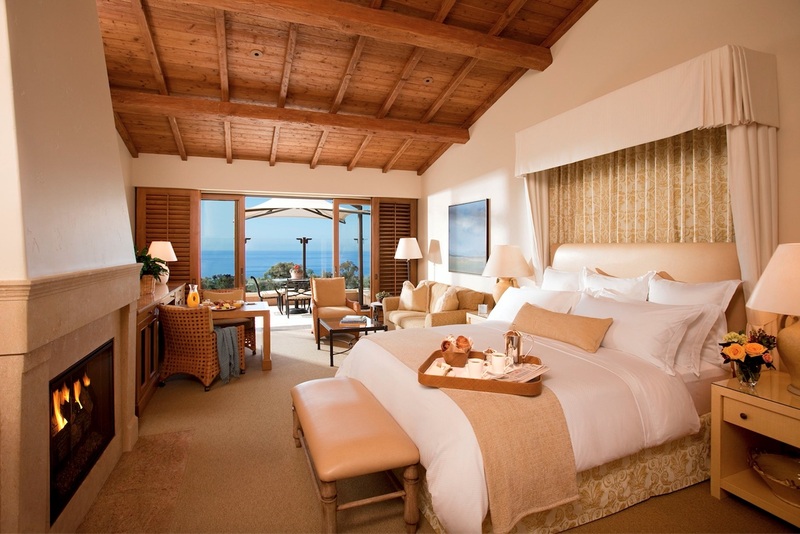 The Resort at Pelican Hill is the perfect destination for a luxuriously romantic Valentine’s Day getaway. Located along the coast of Newport Beach, Pelican Hill has several Valentine’s Day happenings that are perfect for couples whether you’re looking for a weekend getaway or a night out. They have a special four-course Valentine’s Day menu at their restaurant and the chef is inviting couples into his kitchen for an exclusive pasta-making class. The resort at Pelican Hill is also offering a candlelight cabana table for two overlooking the Coliseum Pool, one of the world’s largest circular pools, complete with customizations like music, flowers and festive décor. Or, enjoy a relaxing couples massage and bath in a private spa suite with their Ready for Romance Spa Experience. Top it off with a night or two in a romantic bungalow with a private terrace, deep-soaking tub and cozy fireplace. 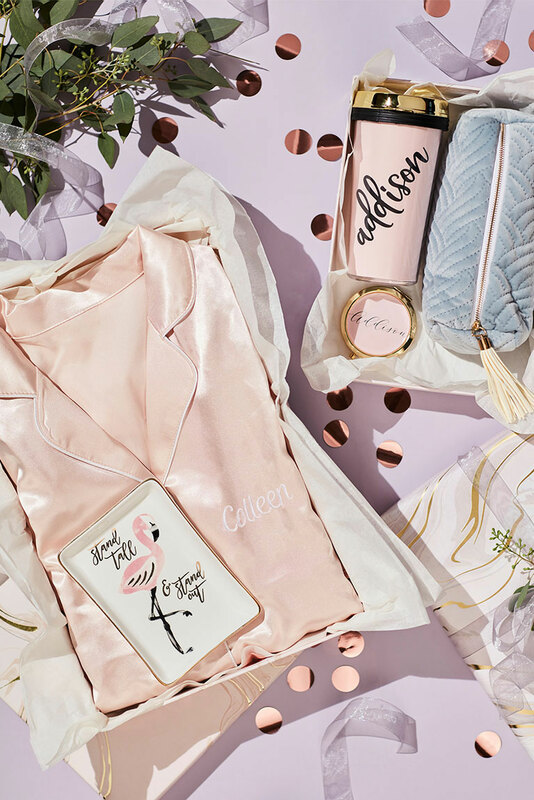 David’s Bridal is the perfect destination for Valentine’s Day gifts for all of the special people in your life from your best friend, significant other or children. With their expansive range of products, you can find gifts from elegant satin robes and date card boxes to a personalized 3-piece watch sets for him. They even have the most adorable bracelets for the little ones. All at affordable prices, David’s Bridal is your one-stop shop for V-Day this year. 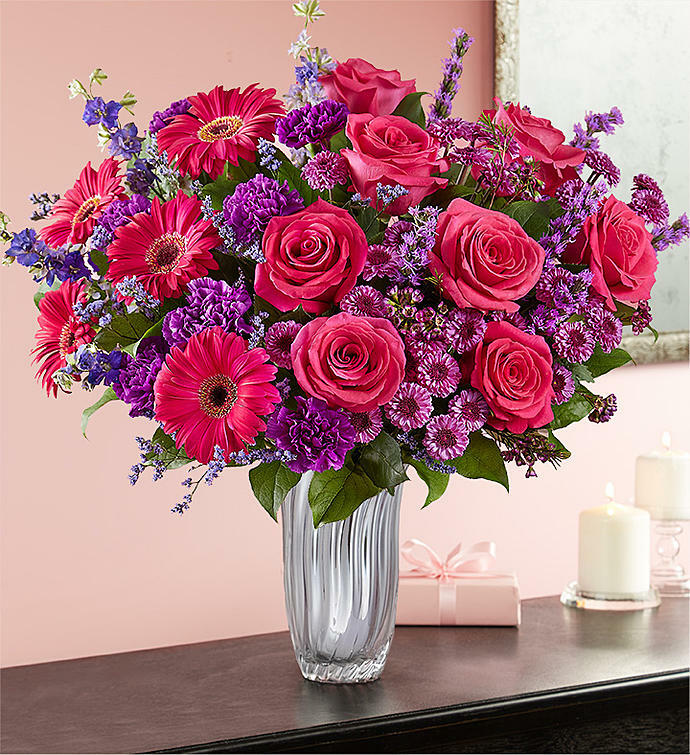 The new Because You’re Mine bouquet from 1-800-Flowers.com includes an assortment of lovely stems such as roses, gerbera daisies and carnations in a beautiful hot pink hue. Hot pink has emerged as one of the most sought-after hues for expressing love and romance, making this bouquet perfect for Valentine’s Day. Head to Marshalls for incredible gift ideas for the ones you love, all at amazing prices. They have gift ideas for your littlest Valentines like these adorable themed bibs and outfits. Put together a variety of kitchen supplies and gourmet food items like this pasta themed gift to make something unique and tailored to the recipient. Make something a little more personalized for the love in your life with spa gifts and picture frames that show your love. And you can never go wrong with sweets and a super cute coffee mug! Great gifts at even better prices. Mommy and me outfits are continuing to be a popular trend and thanks to Little Moon Society, you can gift your favorite mommy/daughter duo with the comfiest sweat set ever. Little Moon Society was founded by best friends and fellow mamas, Haylie Duff & Jessica Frank. All pieces are handmade in Los Angeles using only the highest quality materials with baby, kids and women’s sizes. Check out their brand new store in Studio City or visit their website to shop.